Home of the 12th largest city in the U.S., Marion County boasts one of the most livable big cities – Indianapolis. Professional sports venues, thriving conventions and numerous cultural attractions, make it an attractive real estate opportunity for those looking to invest or a place to live. The Hoosier hospitality is unmistakable, but buying or selling real estate can be an unfriendly experience if you’re not prepared with the proper information for a negotiation. We perform comprehensive Marion County home value reports for buyers and sellers who may be investors, first time homebuyers or homeowners. Find out how much a home is worth without having to spends hundreds of dollars prematurely on a certified appraisal. 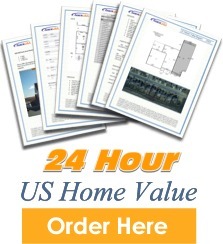 For less than $40, we’ll provide an in depth report on your residential subject property.